Victor® Pest product. Best used for eliminating rats. 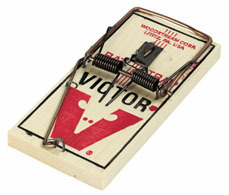 The original spring-type rat trap with the reliable Victor expanded bait pedal to ensure a quick catch. No. M201 Rat Trap.